We specialize in color stones of all shapes and sizes. 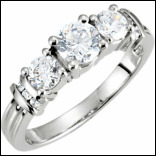 Our selection and prices of gemstone jewelry is hard to beat! Diamonds are forever: more than just a saying. Both beautiful, and symbolic, a piece of diamond jewelry makes the perfect keepsake. 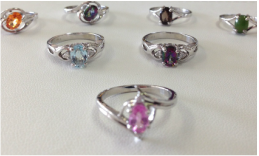 We have a nice selection of previously owned jewelry that has been carefully selected, inspected, and re-finished. Pay less, get more!